In our first installment of this series, we shared job openings from a few of our favorite health & fitness brands - like sweetgreen, Soulcycle and Nike. If you're looking to relocate and switch into a new position with really cool perks, you'll love this list of jobs from brands that really know a thing or two about "work-life balance". Get your resumes in shape, brush up your LinkedIn profiles and check out our second list of fitness, wellness, and nutrition companies that are hiring entry-level and very experienced level employees. Disclaimer: Job postings are constantly changing. This blog was created with the information that was available at the time of its original publication date. After graduating from the University of Maryland, Kevin Plank set out to make a performance fabric that would allow athletes to stay cool, dry, and light. After two decades, the brand has grown into the #3 (behind Nike and adidas) sports brand in the world. Non-traditional perks: In addition to common benefits like healthcare, life insurance, tuition reimbursement, and a 401K plan, there are additional perks including product discounts, “UA GiveBack” Volunteer Days, and access to the UA Performance Center. Click here for view a full list of job openings at Under Armour. Straight from the site: "Working for Brooks is a lot like a mullet—business in the front, party in the back. 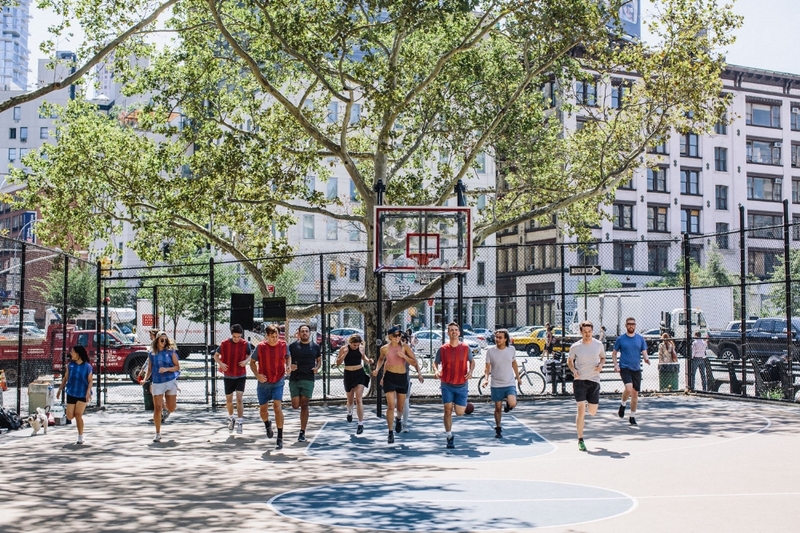 Because when it comes to the running game, Brooks employees run hard but they also Run Happy. That's the motto we follow and it makes the office a challenging, creative, and positive place to be every day. From run parties to charitable volunteering, innovative product design to best-in-class service, Brooks employees are passionate about what they do and always look to get better." Who they're looking for: Product Line Managers, Footwear Developers, Innovation Engineers, Digital Brand Managers and more. Outdoor Voices is an active lifestyle brand. We believe in freeing fitness from performance, and embrace activity with ease, humor, and delight. We feel that Doing Things – moving your body and having fun with friends – outlasts a win when it comes to inspiring sustainably active lives. Our mission is to get people out there and Doing Things together, to redefine recreation as part of everyday life. Who they're looking for: Director of supply Chain, Director of Design, Color & Print Manager, Front-End Web Developers, Retail Associates and more. Non-traditional perks: Free Outdoor Voices gear. Enough said. Click here for a full listing of job openings at Outdoor Voices. Strava is the social network for athletes. It's a global community of millions of runners, cyclists and triathletes, united by the camaraderie of sport. The Strava website and mobile apps bring athletes together from all walks of life and inspire them to unlock their potential – both as individuals and as communities. Non-traditional perks: 5 weeks annual vacation, fully stocked kitchen with great snacks and coffee, regular “work on whatever you want to” days. Click here to view a full list of job openings at Strava. You've probably seen their products at your local grocery store or at your last race. RXBAR "cut out the BS in protein bars by leading with clean, whole food ingredients to fuel fit and healthy lifestyles nationwide". Click here to view a full list of job openings at RXBAR. You can't go for a run or workout without seeing a wearable on the wrists of other athletes. Garmin is a technology and GPS company that makes activity trackers/GPS products for athletes, automobiles, pilots, and more. Who they're looking for: Product Support Specialist, Regional Sales Manager, Human Resources Coordinator, Software Engineers, and more. Headspace was founded in London in 2010 by Rich Pierson and Andy Puddicombe. Originally conceived as a meditation events company, Headspace has evolved into the world’s most popular meditation app. Using proven mindfulness techniques, it will teach you how to train your mind for a healthier, happier life. Who they're looking for: Copy Writer, Sales Manager, Designers, Customer Experience Associates, Software Engineers, and more. Non-traditional perks: Gym Membership, pet-friendly workplace, free lunch, employee discounts, and more. Want more content? Click here to get training tips delivered to your inbox every Monday morning. Why did you sign-up for your first half-marathon or full marathon?